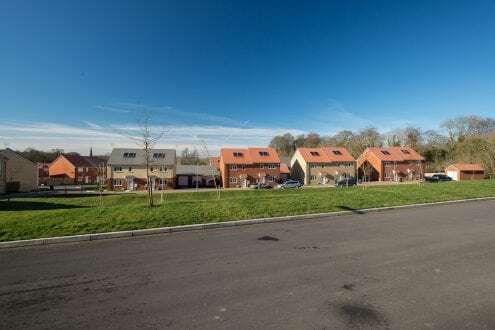 Taylor Lane Timber Frame has supplied and erected timber frame kits for 322 three and four bedroom homes for service personnel and their families based at barracks on and around Salisbury Plain. 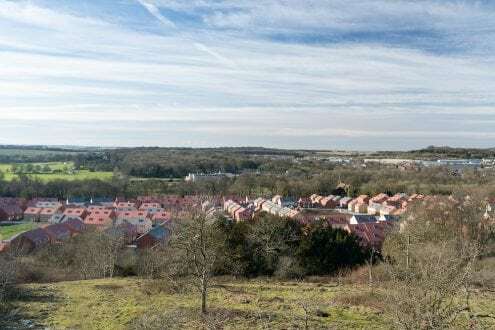 The circa £70 million housing development in Tidworth, Wiltshire is being constructed by housebuilder, Hill working on behalf of the Defence Infrastructure Organisation (DIO). 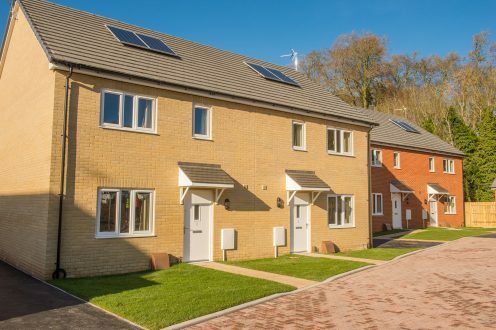 Kits for all 322 houses were manufactured, delivered to site and erected in 13 months, with a delivery target of 10 units per week over a phased programme. Taylor Lane met the completion date target for each phase. The timber frame kits comprised of ground and first floor panels, floor cassettes and roof components. 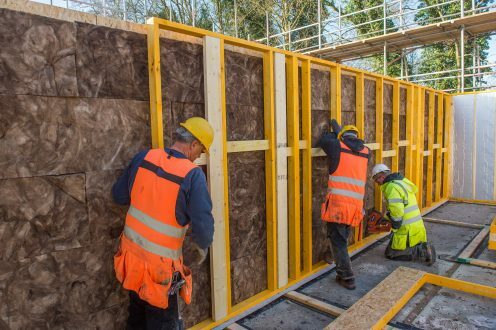 Using its Thermaline system, with 120mm PIR insulation board and foil faced reflective breather membrane, the Taylor Lane kits achieve a U-value of 0.19 W/m2K. Taylor Lane was appointed by Hill. 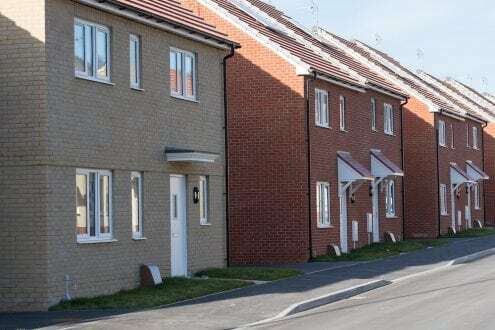 The award-winning housebuilder has worked with Taylor Lane on several projects over the past decade, enjoying a close working relationship. Early engagement was crucial. 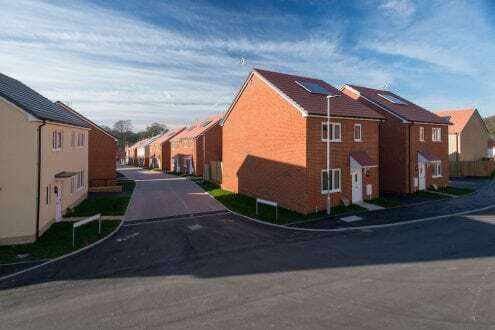 “We required a quick design, mobilisation and delivery function to secure construction operations on the ground and ensure that we achieved the project completion date. Taylor Lane’s ethos and attitude matched our own in this regard,” comments Ryan Harris, project director, Hill. “Over the years’ we have come to appreciate Taylor Lane for their professional service and quality product. 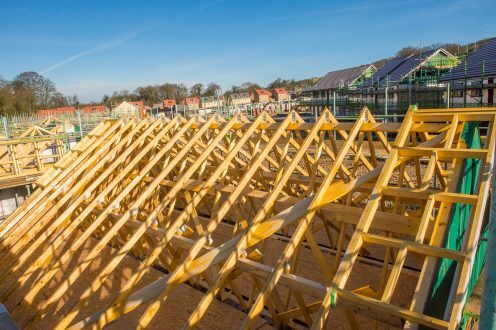 The timber frame designs are fundamental to the commencement of site operations. We needed to know the line loads of the timber frame to design the foundations to secure firm costs and make an active start in the ground. 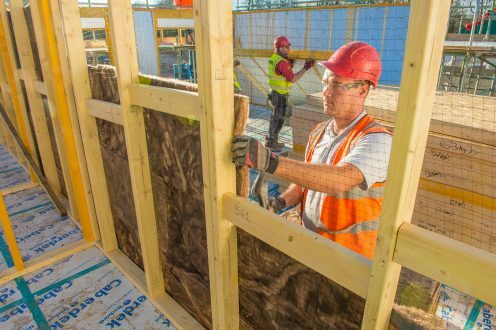 Engaging the timber frame supplier early in the pre-construction stage was vital to allow an aggressive start. Hill was involved in the design process, working with the Taylor Lane in-house design team. The units are uncomplicated with five house types and their variations. Taylor Lane finely tuned its design to ensure the smooth running of both the factory process and site methods. 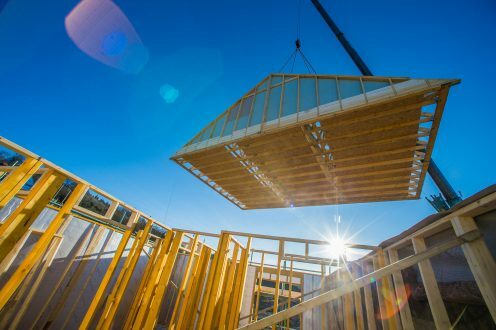 Hill specified a non-working supervisor, onsite for the delivery and erection of the timber frame kits. 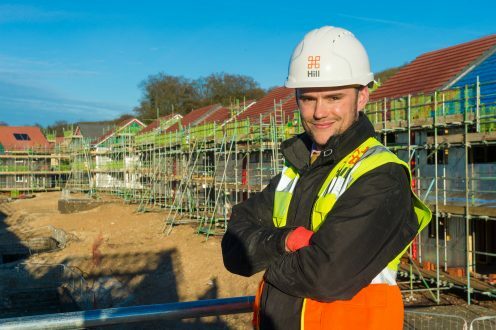 Taylor Lane assigned Liam Hale, one of its on-site contracts managers to undertake this role. Liam supervised a team averaging 25 erectors while phases were running in conjunction with one another. This was the first time that Taylor Lane had seconded a dedicated employee to fulfil this role and it added measurable value to the contract. 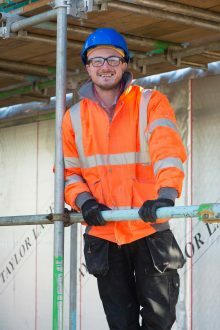 As the non-working site supervisor, Liam was a constant Taylor Lane representative on the Tidworth site, managing labour, materials and resources daily, and scheduling deliveries. He developed and updated the Risk Assessment Method Statements (RAMS), ensuring safe working practices. 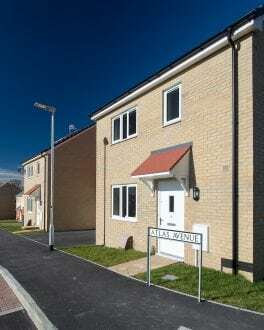 Responsibilities also included monitoring the quality of output, issue resolution and liaison with Taylor Lane contracts manager, Paul Harris and the office for continuous improvement of the finished product and processes. 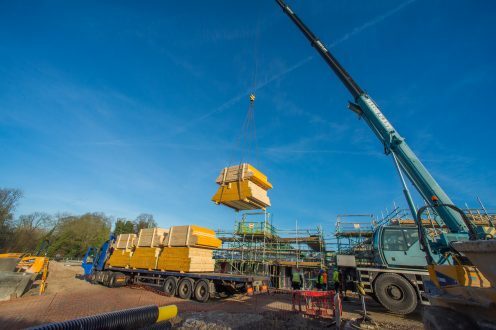 With 50+ deliveries and 225 – 308 labourers onsite each day, health and safety is paramount. The lifting of the timber frame components is a high-risk activity; Taylor Lane minimised this risk and controlled the area. 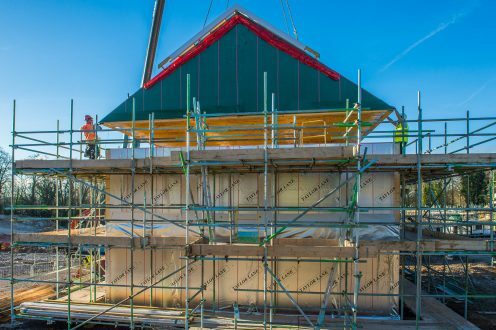 The first onsite job for the Herefordshire-based timber frame manufacturer was to lay and fix the soleplates and to ensure that dimension and level checks were completed. The last job was to overlay the bathroom floors with 6mm ply, as once the houses are ‘in the dry’ they’re ready for floor coverings. 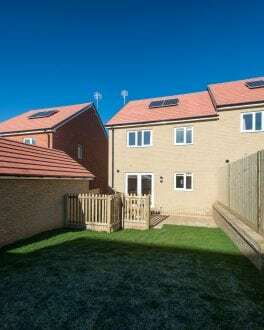 The greatest challenge for the Taylor Lane team was the erection of a pair of three-bed semi-detached houses in one day. The build was time critical as the only available crane position for the plots blocked the main site entrance, and this could be closed for just one day. 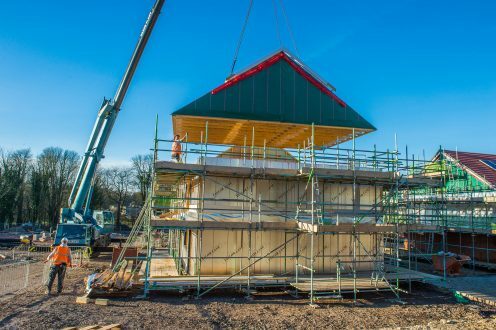 With a team of six erectors and one crane the Type C houses were constructed from three loads comprising ground and first floor panels, floor cassettes and roof components. Engineered details such as utilising the lifting beams so that they stay in the roof structure and become part of the roof bracing, enabled Taylor Lane to achieve the build in the limited timeframe. “Taylor Lane has been one of our stand-out performers. They have really singled themselves out; it’s the kind of performance you remember. We have established a strong partnership between the two organisations and they feature as one of our leading contractors. I would happily continue this working relationship for future developments,” says Ryan.